Originally launched by two founders – James Hong and Jim Young, Hot or Not dating application is currently going through a re-launch process. As before, the app is based on rating the attractiveness of its participants and aimed at helping people connect with the “hottest” people, but this time using location-based data to show its users most attractive people around them. Moreover, the revamped dating service of Hot or Not now encourages its users to vote on the most attractive (and, respectively, least attractive) users, then the users are given a popularity score and a so-called “Hot List” is compiled in order to show in real-time where the most beautiful people reside in each location. Hot or Not app is designed so that it could be possible to do without the guesswork of tracking down all the attractive people. It means that, for example, cinema-goers which share the use of the app will be given an opportunity of checking their iPhones each time when they go to the cinema to know whether there will be highly rated “hot people” near them in the cinema during the cinema show. The users of the app can also take advantage of its built-in chat, but only in case they have already rated one another as “hot” . The Hot or Not app has over 10 million users in the United States at the moment, available in over 30 languages and is regarded by many as a competitor to other widespread top dating apps including such dating giants as Tinder. Note also that the relaunched app is currently available for download both for Android-based smartphones and iPhones. Judging from the words of Hot or Not’s CEO Andrey Andreev, since the year of 2000 the Hot or Not brand had only been an inspiration behind some of the most popular dating platforms and products (such as Facebook or YouTube), which are these days available to clients. 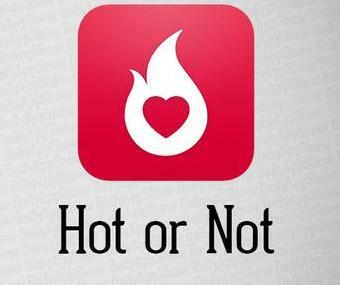 And with the addition of “Hot Lists” option the creators of Hot or Not “are bringing an elevated and even more exciting version of this iconic brand for a new generation of users”. Not everything is as brilliant as it looks like? People who are use to dating online via free dating websites can be ruthless at times, especially rating the physical attractiveness of other people. And since each individual will have his or her “hot rating” attached directly to the profile, which is decided by voting… It goes without saying that some users may not be quite happy as for their attractiveness rate results.